I signed up to BT from TalkTalk on May 18th on the premise that I was going to get broadband speeds between 4.5mbps and 6.5mbps. The reality is a rapidly diminishing 2.9mbps down to 1.3mbps last time I checked today. Spent ages on the phone to the overseas call centre, had numerous promises of “we will fix the problem and get back to in 48-72 hrs” yeah right’! IP profile is currently set at 1.5mbps, a neighbor and my daughter are on the same exchange and their profiles are set at 6.5mbps. Tried to suggest that this might be the solution, turn the dial up till my profile speed reaches 6.5mbps. Response from BT was to check the ADSL filter and ensure that the hub was connected to the master socket, not any internal extensions. Does anybody have a phone number for the BT Complaints department where you can speak to a person that understands English, dare I suggest somebody that is English (of course Welsh, Scottish or Irish)? Why on earth did you change? TalkTalk is a much better service and cheaper. 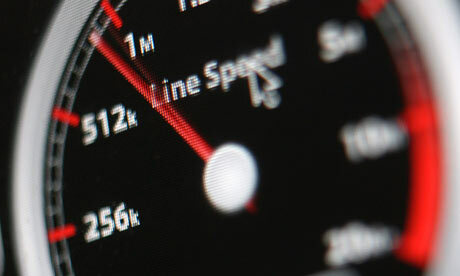 I am regularly achieving 13 – 16 Mb on Broadband and I live in a small village!